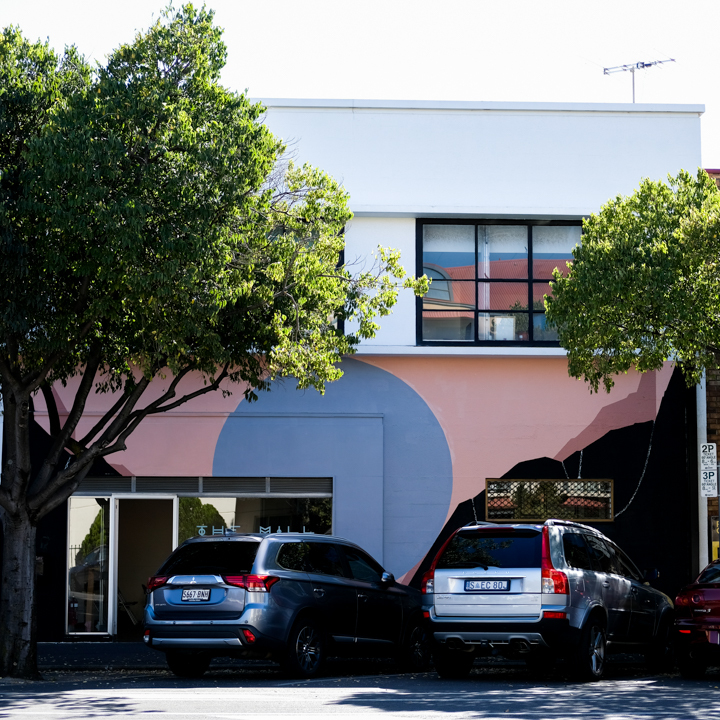 CityMag meets with Matt Fortrose on a quiet afternoon at the Howling Owl to speak with the street artist about his upcoming project with developers Charter Hall. 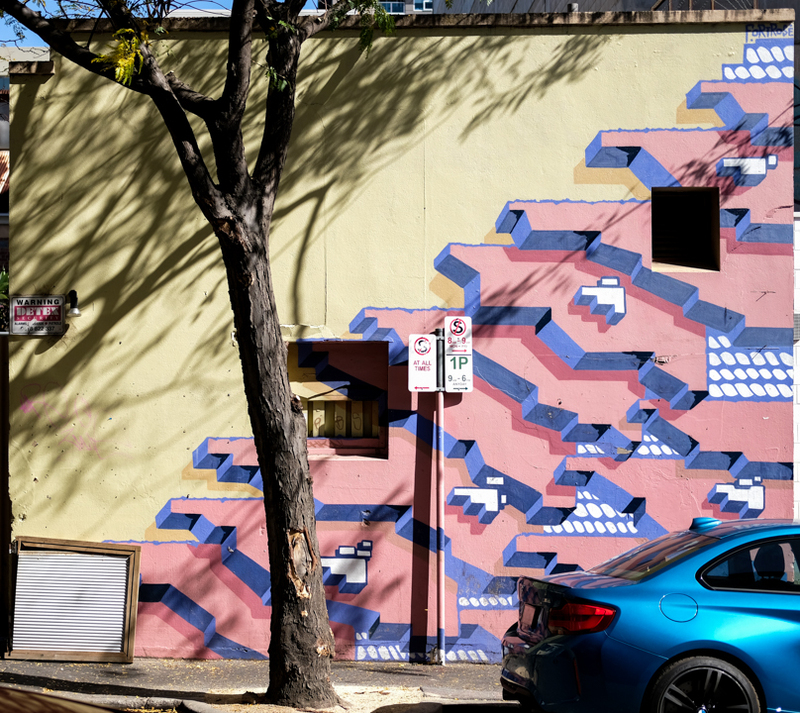 Matt has been building a repertoire of walls around Adelaide for years, and we suggest that he must be quite busy at the moment, given how often we’ve come across his work lately. Matt Fortrose’s GPO Exchange wall will be unveiled in October this year. Stay tuned to his social feeds for updates on his work. On the contrary, says the artist, 2019 has so far mostly been about prep. “This year’s been a little bit slow because it’s [a lot of] planning. I haven’t had to do this before,” he says. A large portion of this planning has been for the artist’s contribution to the $250 million Charter Hall project, GPO Exchange, currently under construction at the corner of Franklin and King William Streets. Matt won the project with a design that riffs on the heritage of the site and also incorporates multiple art forms, blending his studio and public art practices. “The brief was to do with the [Overland] Telegraph Line built from Darwin to Adelaide in 1872. It was built by South Australians and back then that was huge, to get that massive project,” Matt explains. “The brief was so far out from what I do, but I reduced it to a few little points: they’re travelling through the landscape, and I do landscape-y abstract stuff, so I made that connection; and then the material used, they used a single galvanised wire, and I was like ‘Alright, I’m already playing with metal, so that feeds in,’ and that one element connecting the landscape is pretty similar to what I do as well. The work will be painted and installed on GPO Exchange’s Post Office Place façade, on a section of wall recessed 100 millimetres back. While still in the design development phase, a preliminary mock up shows South Australia-shaped geometric blocks connected by a continuous line, set against a multicoloured backdrop, with lighting accented throughout. The process so far has been a learning experience for Matt, who has worked closely with fabricators and lighting designers to effectively bring the piece into reality. “I went to a fabricator straight away… they do a lot of public art. The guy… took me through the workshop and suggested a few things and got me familiar with what the possibilities would be,” Matt says. 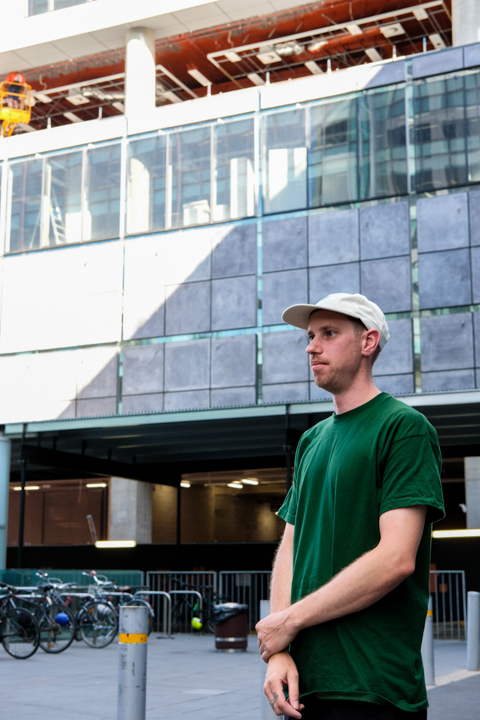 Matt was one of four artists who pitched for the project, and his design was picked for his “interpretation of the GPO site’s heritage and the important role the Telephone Exchange Building played in Australia’s communications history,” Charter Hall’s senior development manager, George Roussos says. “It represents the idea that the GPO Exchange precinct is a place where old meets new and we’re excited that this public artwork will become part of the building from day one. Above: Matt’s work on Union Street near the Cranker, and Angas Street on The Mill’s façade. Matt spent two and a half months working at The Mill as Artist in Residence. After a few years spent in London, working his way through the city’s free walls and fine art galleries, Matt started to hone his style, connecting his own work with that of artists from generations before him. “I guess, in a way, you’re trying to look for that authenticity in your street paintings, and I guess trying to make that connection to older paintings and movements somewhat does that,” Matt says. The artist returned to Adelaide with a determination to make art his vocation, and has worked toward that goal ever since. Importantly, Matt says, he reached a point of feeling comfortable and confident with his style before making a ploy into commercial projects. “If you’re out doing those commercial jobs, for me, you have to love what you’re doing, so you have to build up to that,” he says. With the amount of faith Charter Hall has placed in Matt so far, the project, while large in scope, has run smoothly to date. The Fortrose CPO Exchange wall will be installed throughout June and July and will be unveiled to the public in October this year. Stay tuned to Matt’s social feeds for updates on the artwork.